A crispy crunchy healthy alternative for your next party. Pass these artichokes around and watched a surprised face on every head. BBQ mixed with mustard is a sweet and tangy way to enjoy this veggie treat. 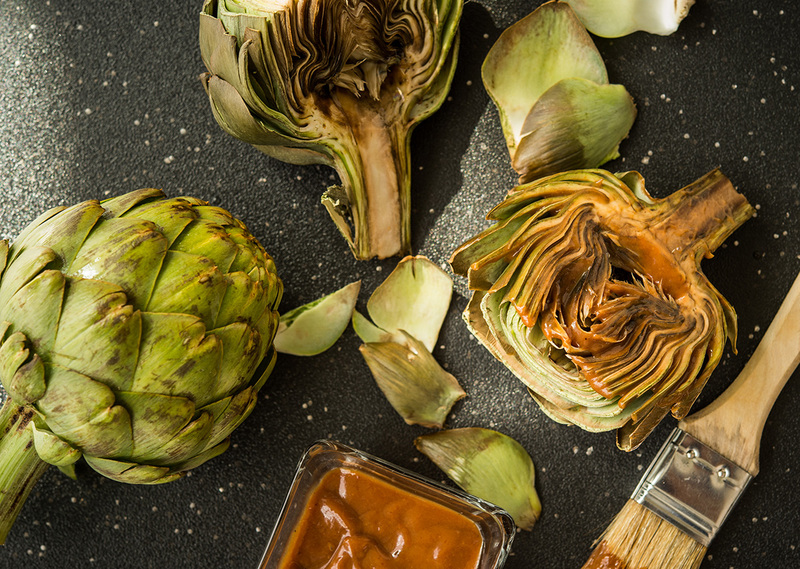 Using a serrated knife, cut 1/2 inch off the top of each artichoke. Cut each in half vertically and, using scissors, trim the pointy ends off the leaves. Carefully cut out the fuzzy choke in the center and discard. Rub artichokes all over with lemon. Fill a large pot with water and fit with a steaming rack. Place artichokes on rack and steam until they are tender and easily pierced with a fork, about 30 minutes. Set aside to cool for 15 minutes. Meanwhile, have your George Foremen grill preheated to the highest level. Mix all ingredients but the artichokes together in a bowl. 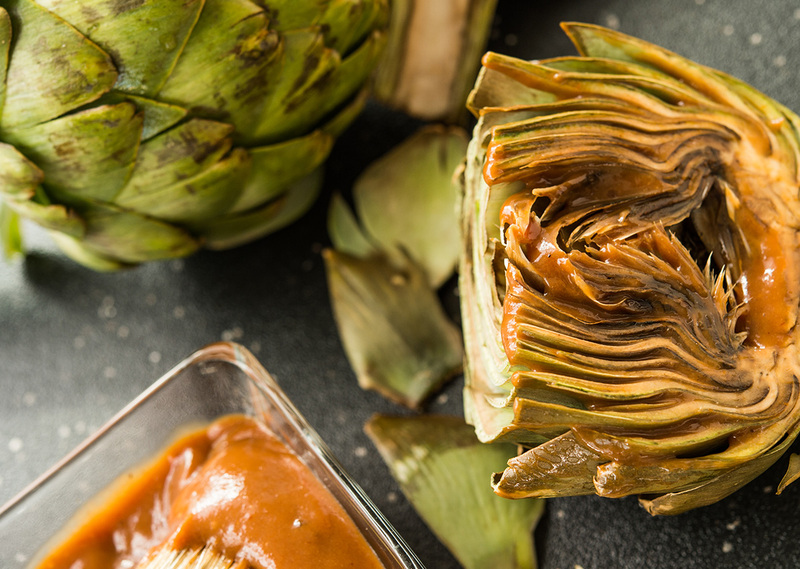 Place artichokes on the grill and grill until desired crispiness, or about 4-6 minutes. Remove from grill and serve with BBQ sauce immediately!